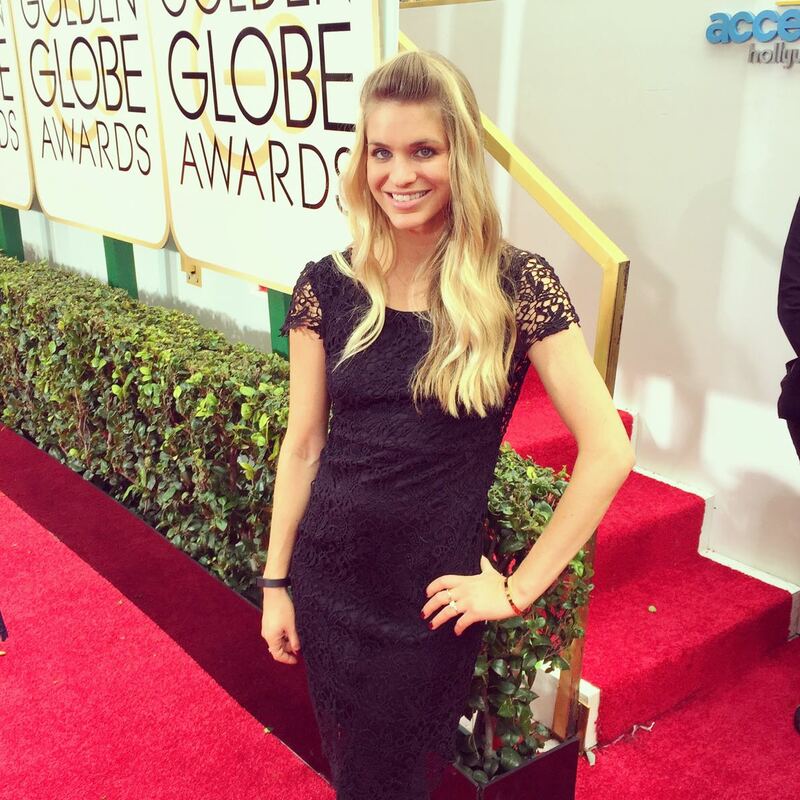 I survived another Golden Globe Awards! This was actually my fifth or sixth time (I’ve lost count) working the show and every year is so different. I wanted to share some behind the scenes pictures I took. The day is kind of a blur… lots of steaming, running around, finalizing jewelry and accessories and some fun too. 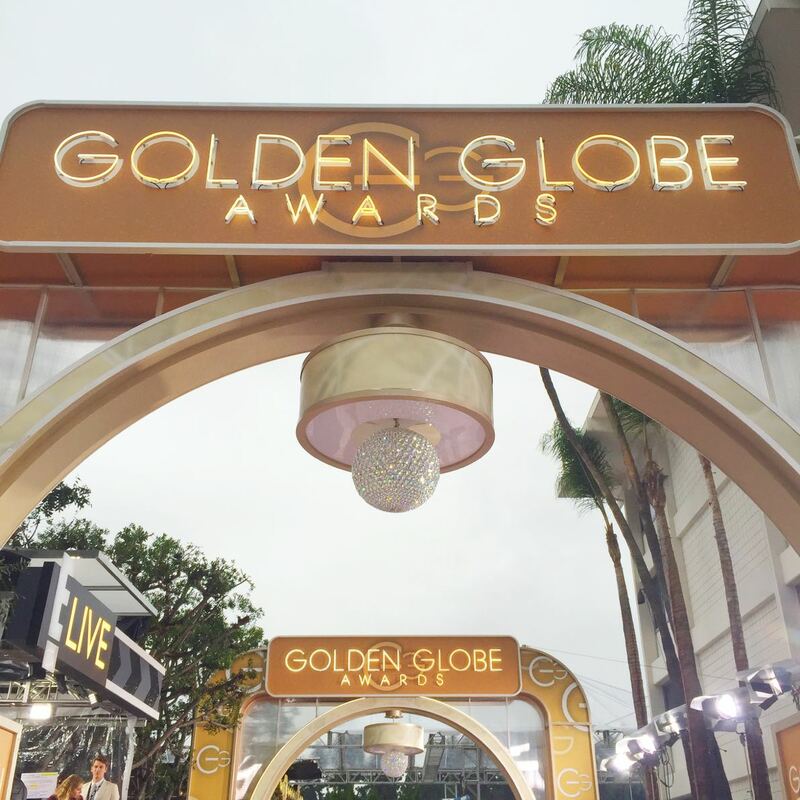 Around 2 pm we make our way to the red carpet and are on a very chaotic lockdown for hours as the stars arrive and do interviews. But I won’t bore you with all that, let’s just get to the pics. 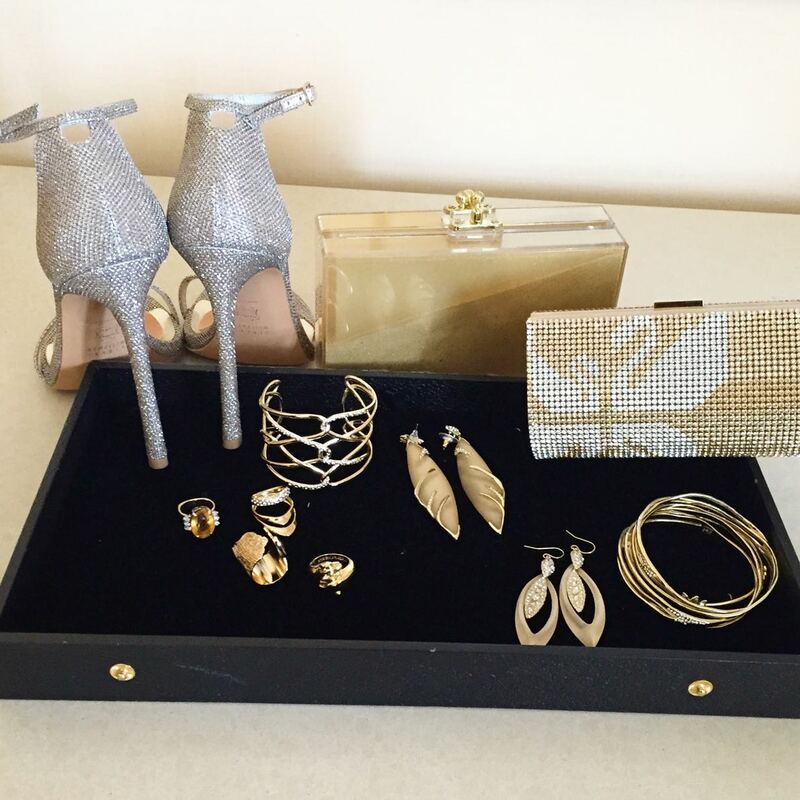 Options… Stuart Weitzman heels, Alexis Bittar jewelry, Ashlyn’d and Swarovski clutches. We like to wear black on the red carpet to blend in. I’ve acquired sooo many LBD’s. This one is a new fav from No Rest for Bridget. Don’t mind the fitbit on my right wrist… oops! Right before the carpet started the cast of Entourage sort of appeared to film a scene for the movie. So fun to see! Emily Blunt matched Louise Roe’s Grecian vibe… braids and all. I just loved seeing Sienna back in the red carpet circut, she was one of my favorites of the night. It’s funny to see look at the platform and see the different groupings of celebrities chatting. It’s kind of like a very glam cocktail party. Reese and Emma were more of my best dressed picks. Love a jumpsuit on the red carpet! 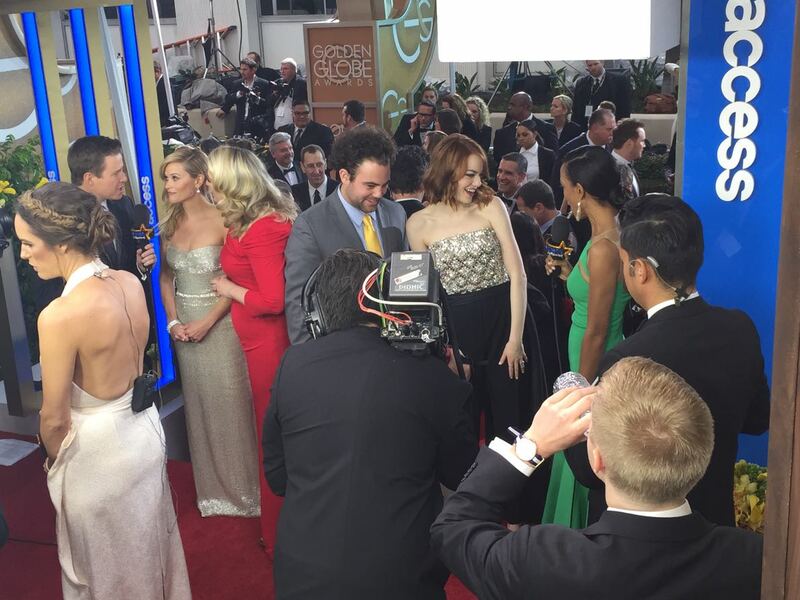 Kate Hudson’s gown was too pretty not to photograph. All of the after parties are in the hotel so it’s fun to hop around. 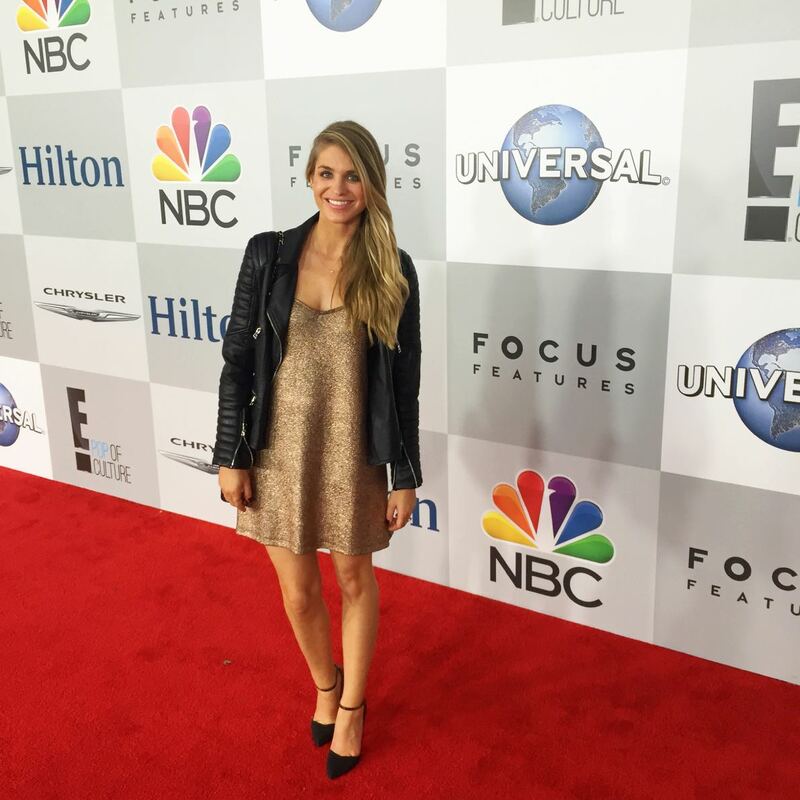 After the show I did a wardrobe change into this leather jacket, rose gold dress and shoedazzle heels. Ended the night at a party with co-workers. I’ve pulled all the pieces linked in this post if you want to shop them. 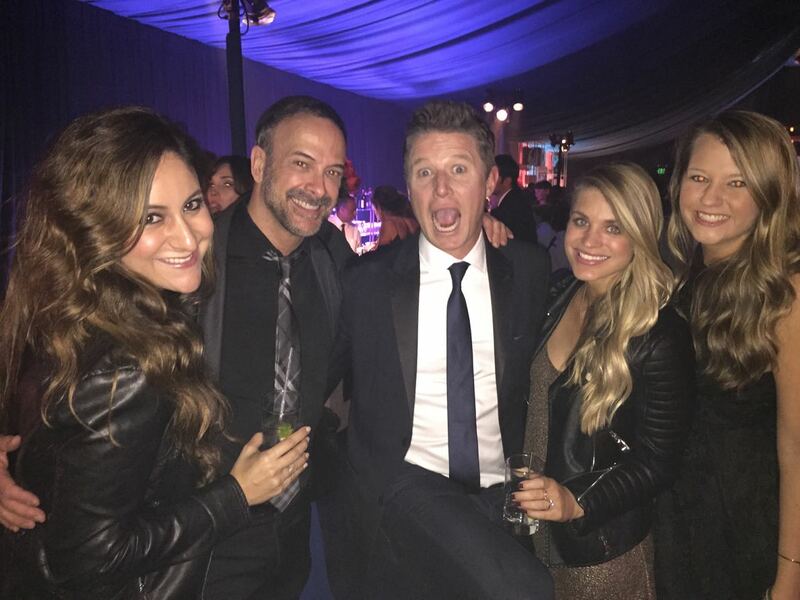 Hope you enjoyed this little glimpse into my Golden Globe Sunday. Have a great day! SUCH great photos! Looks like so much fun! I love your gold dress paired with the leather jacket, perfect! How awesome is this! So jealous of your job right now. 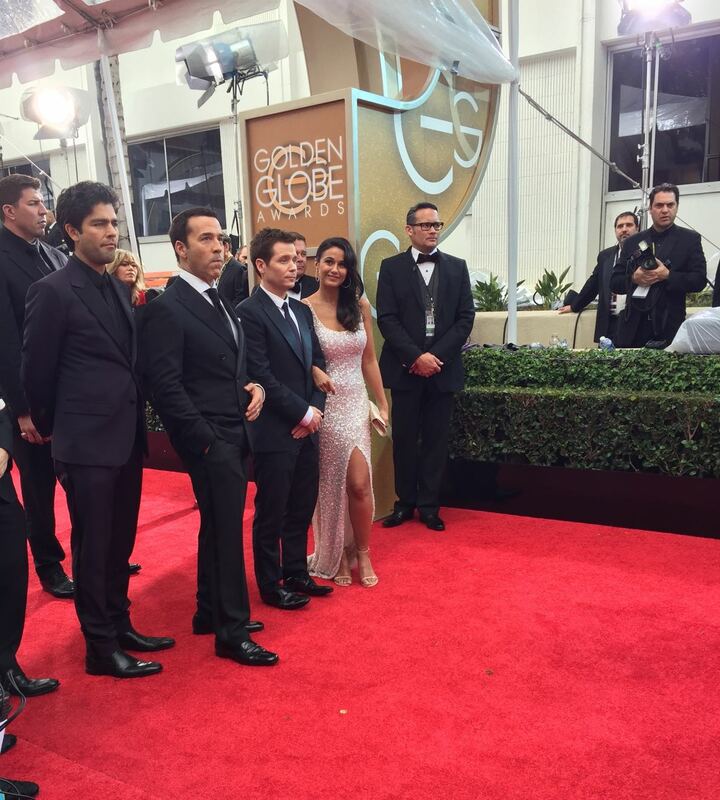 I wish I could have gone to the Golden Globes and seen everything up close. Great behind the scenes post.